First, go to Photopea.com. Press File - Open, and open your still image. Then, press File - Open again, and open your GIF. You should see two panels ("tabs") in Photopea. Now, we need to copy all layers of the second document (frames of animation) into the first document (still image). 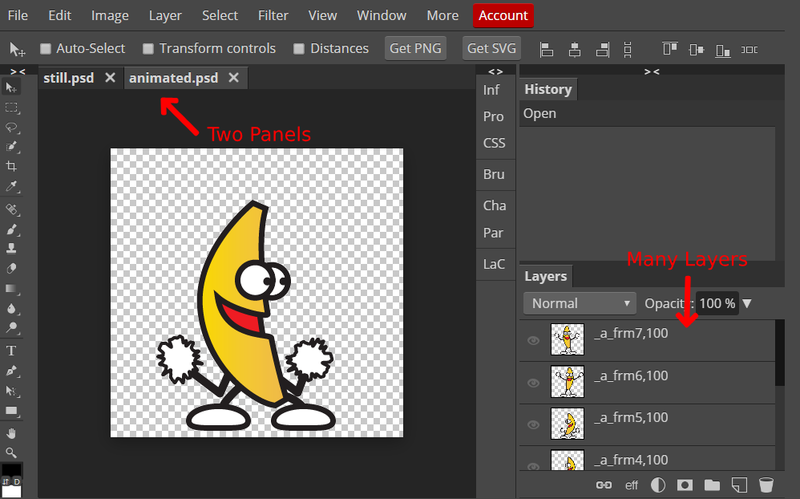 Look into the Layers panel (bottom right): there is a folder (named "animated" in our case), that contains all frame layers. Now, right-click that folder (in Layers panel) and choose Duplicate Into. In the new window, choose the document with the still image as a destination. Confirm with OK button. Switch to the panel ("tab") with a still image. You will see your GIF in the top left corner. 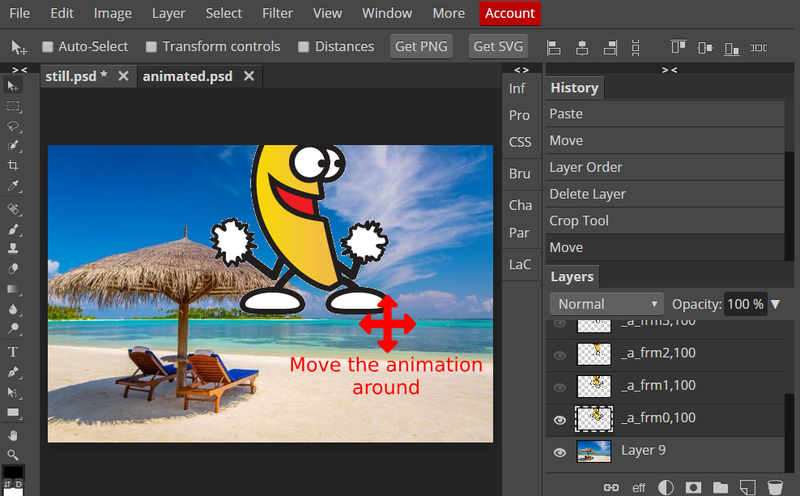 Now, click and drag it to a new position (notice, that all layers of the animation are still highlighted, so you are moving all frames at the same time). You can even use Free Transform to make the GIF larger / smaller, or rotate it, etc.